Volunteers are often an integral part of wildlife protection and preservation programs. These may include anything from banding migratory birds to counting butterflies and listening for the songs of frogs and toads. 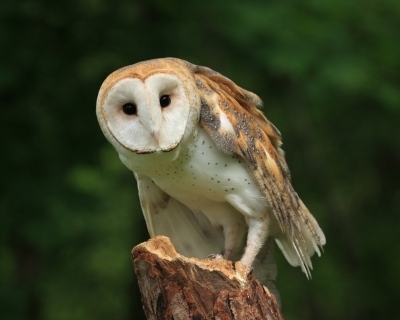 This story out of Maryland details how volunteers are playing a role in the possible reappearance of the barn owl in the area. Volunteers have been helping to build and monitor barn owl nesting sites. One of those sites recently became the home to the first baby barn owls seen in the area in 17 years, according to the article. The birds were found by a volunteer who checked the nesting box over Memorial Day weekend. With this great work by volunteers and professionals, species which are currently endangered or threatened may be able to thrive once again. Organizations involved include Calvert County Natural Resources Division and Southern Maryland Audubon Society (their website is currently under construction and not available).